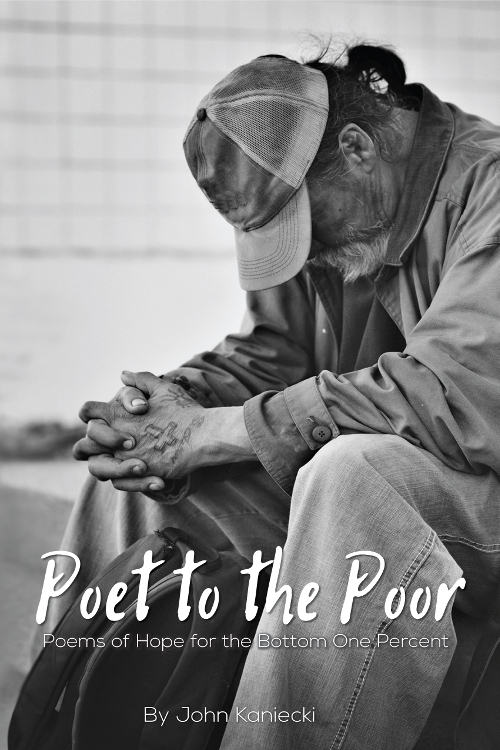 Poet to the Poor is a collection of poetry written for the bottom one percent. This work draws from historical figures and everyday people from John's life, creating a powerful poetic testimony. In revolutionary fashion John defies both the politics of the day and the modern style of poetry. The poems are written in a wide variety of styles, and rhyming is prominent. Passion and purpose abounds in these words. With over forty of the poems previously published, this work constitutes John's best, including the award winning poem "Tea with Joe Hill". If you want something to inspire you to change the world, this book is a must. Take a journey into the lives of the bottom one percent. The poor. John Kaniecki is a member of the Revolutionary Poet's Brigade and Secretary for Rhyming Poet's International. John volunteers as a missionary in the inner city of Newark, New Jersey, for the Church of Christ at Chancellor Avenue. John is active in the antiwar movement. In particular John is a strong advocate of the rights of indigenous people. He has two previously published books. A poetry book entitled Murmurings of a Mad Man by eLectio Publishing and a science fiction story collection entitled Words of the Future published by Witty Bard Publishing.